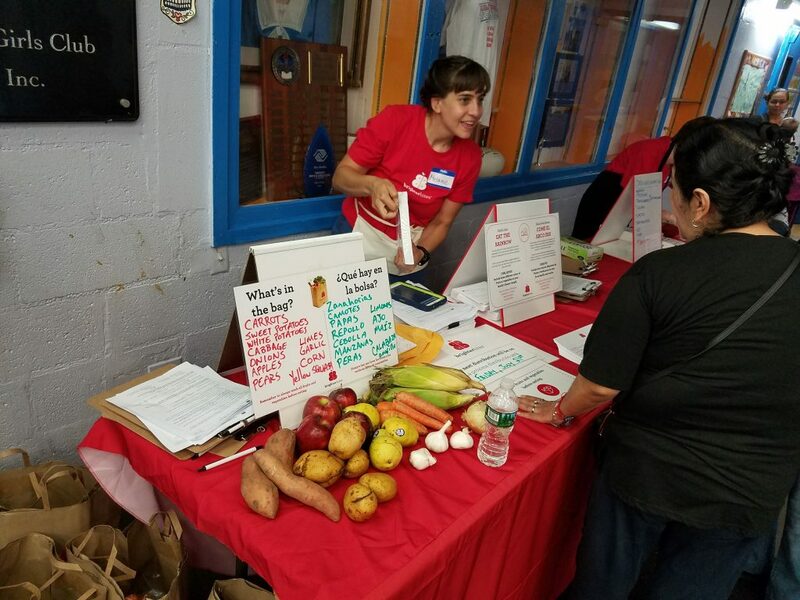 In July of 2017, Melanie Button joined Brighter Bites as program director for Brighter Bites in NYC to help us launch our first program outside of Texas. We love having Melanie on our staff and wanted you to have the chance to get to know her better! We asked Melanie all about her experience working with Brighter Bites and her favorite things to do off the job. Check out Melanie’s responses below! What inspired you to join Brighter Bites? I previously worked for our partner, City Harvest, delivering nutrition education programs including CATCH [Coordinated Approach to Child Health]. 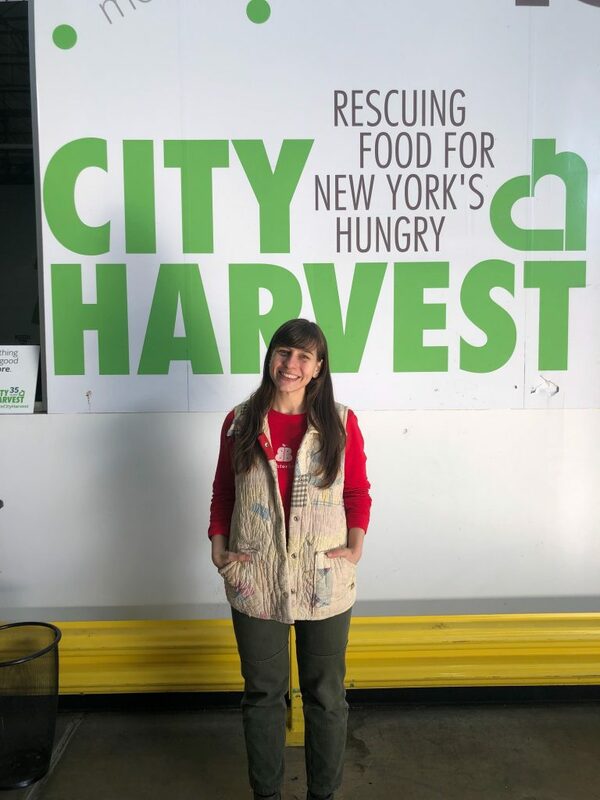 When Brighter Bites approached City Harvest about expanding to NYC, I was part of the team that explored whether it would be a viable partnership. Everyone on both sides was excited for the potential partnership, but it took a few months to figure out the logistics of running the program in NYC. During that time, I fell in love with Brighter Bites’ mission of creating communities of health through fresh food and its data driven approach to doing so. I was thrilled to be hired as program director and have the opportunity to oversee the launch of the first city outside of Texas. My background is in education. I’m a certified New York State teacher and have spent most of my career working in schools in one way or another. I love empowering teachers at our Brighter Bites schools to be a vehicle for change for their students. Hearing from the teachers about the lessons they are doing in the classrooms with the fruits and veggies or how much they enjoy delivering our CATCH program really makes my day. And, of course, the impact on our families is what fills me up every day. My favorite is when a produce item really catches on with our families. This summer we received bok choy donations for a few weeks in a row. I had so many families tell me that it was brand new to them when we first distributed it but that their children had grown to love it to the point that they were now purchasing it on their own. What is your favorite produce item? I love avocados! I would eat avocado toast for every meal. What can I say, I’m a Brooklynite! Through our partnership with Avocados From Mexico we were able to provide avocados to all our Brighter Bites families last year which was super exciting for our families and staff. Do you any favorite recipes to share (Brighter Bites or otherwise!)? It took me 25+ years to learn to like cauliflower, but now I love it! Our Sneaky Mashed Potatoes are a great way to introduce this flavor to your kids. My father was career Army, so our family moved every 2-3 years. I was born in Germany and lived there as a young child as well as through middle school. My parents instilled a love of travel in my sister and me, and I feel so lucky to have seen so much of the world before I was even a teenager. I still have a serious travel bug! What activities did you do as a child/teenager (sports, clubs, instruments, etc.)? I was a huge bookworm. When we lived abroad, it was harder to get English books for kids. We visited London semi-regularly, and I would spend hours in bookstores trying to pick out which ones to bring back with us. I would have filled a whole suitcase if I could! What would we most likely find you doing outside of work? I’m an exercise junkie. If I go two or three days without working out I feel stressed and unsettled. I used to be a distance runner and have completed 5 marathons and 12+ half marathons, but lately I am finding a solid 30 minutes a day is just right. Living in New York usually means agreeing to live in a smaller space. I actually value this a lot. It forces you to get out and explore the city. Instead of backyards, we have so many beautiful parks including my favorite, Fort Greene Park in Brooklyn. Do you have any local attraction or restaurant recommendations? Right now, all our program locations are in the borough of Queens which is the most ethnically diverse urban area in the world! My staff and I are always eager to explore new flavors and cuisines on our lunch breaks. A staff favorite is Arepas Grill in Astoria which serves Venezuelan specialties. This year, my goal is to explore the many Tibetan and Nepalese restaurants in Jackson Heights and find the best momos (traditional dumplings), which is a hotly contested title. Any family or friends you want to introduce us to? My husband Tommy is the true chef in our family! He grew up in Texas, and his family is originally from Louisiana, so he brings southern flavors into our home. He made jambalaya for me on our second date and it was pretty much a done deal. We are both overly obsessed with our dog Homer who we rescued from a shelter 3 years ago. He really rules our roost, but we would not have it any other way. Where is/has been your favorite place to visit/travel to? My husband and I love road trips! When you are driving through new places, it feels like the travel is just as exciting as the destination. Some of our favorite itineraries have been Utah and the western national parks, the Dalmatian coast exploring Croatia, Bosnia, and Montenegro, and our most recent trip through Germany, Austria, and Slovenia. I hated learning to drive manual as a teenager but my parents were right – it is a skill I now highly value! Thanks for everything you do Melanie!